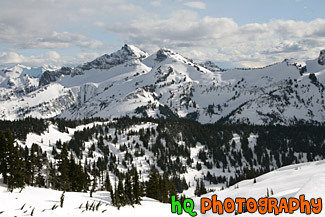 A scenic picture taken of snow covered hills located in Mt. Rainier National Park. This picture was taken from a trail in the Paradise area on a partly cloudy winter day.